AXACON schedule released – and I need YOUR questions for J.G. HERTZLER, GARY GRAHAM, and ALEC PETERS! The first-ever AXACON is less than three weeks away, and ALEC PETERS has just released the schedule. It’s a pretty busy weekend, filled with all kinds of activities and panels…most of them focused on AXANAR (both past, present, and future), but also a few opportunities to expand beyond just one fan film. When fan films become professional independent films…what does the future hold? As you can see, a lot of careful consideration went into filling this mini convention with diverse content while still keeping it centered around Axanar. I think the organizers did an excellent job with that. Author Jonathan LanePosted on October 15, 2018 October 15, 2018 Categories Fan Film Features, NewsTags Alec Peters, AxaCon, Axanar, David Gerrold, Gary Graham, J.G. Hertzler, Steven Jepson11 Comments on AXACON schedule released – and I need YOUR questions for J.G. HERTZLER, GARY GRAHAM, and ALEC PETERS! 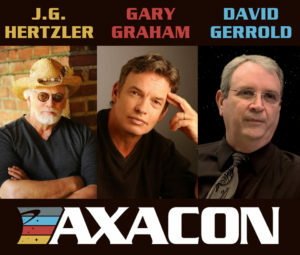 AXACON adds more guests – TICKETS now available! Things are beginning to get very exciting when it comes to AXACON, the “con-within-a-con” that is happening during the first weekend of November in Atlanta, GA. In the last few weeks, some major new guests were added, and last week, tickets finally went on sale. 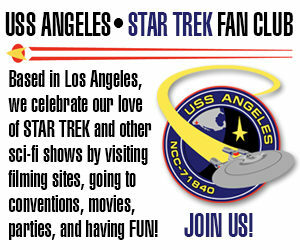 The guest list now includes GARY GRAHAM (who plays Ambassador Soval in AXANAR) and J.G. HERTZLER (who plays the surly Admiral Sam Travis in AXANAR)—both of whom are veteran television Star Trek actors—along with tribbles creator DAVID GERROLD. Other announced guests include director/co-writer of the upcoming Axanar sequel fan films PAUL JENKINS, editor/sound designer MARK EDWARD LEWIS, art directors LESS QUESSENBERRY and ALEXANDER RICHARDSON, STEVEN JEPSON (Admiral Slater from Prelude to Axanar), and of course, writer/executive producer/Garth of Izar himself ALEC PETERS. 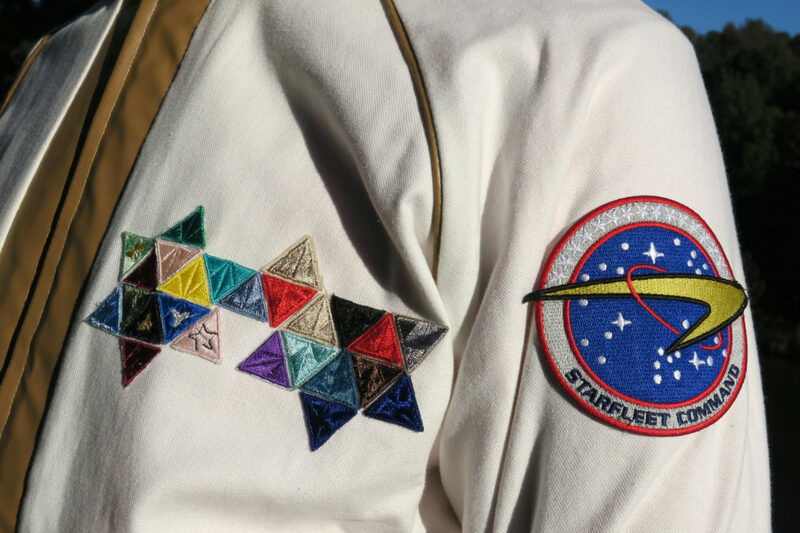 There’s also a growing number of notables from the fan film community including Stalled Trek creator MARK LARGENT, Chasing the Infinite Sky creator ALBERT J. MARTINEZ, Axanar fan artist MARK PAYTON, and your favorite Fan Film Factor blogger JONATHAN LANE. 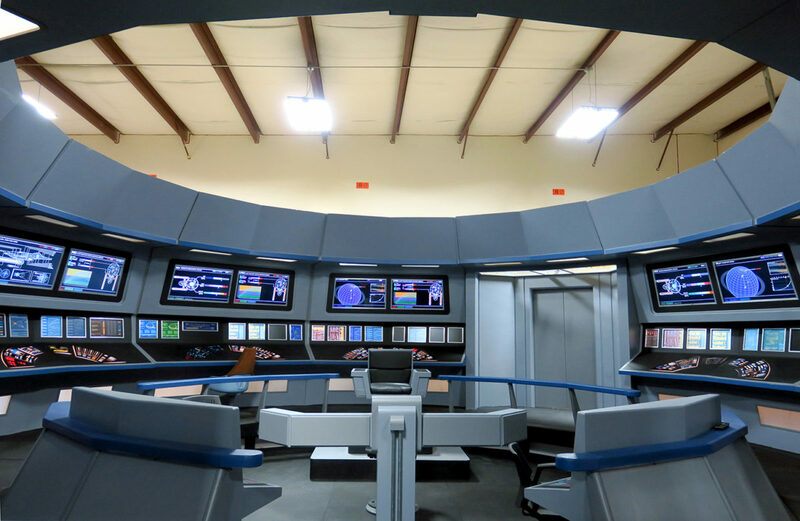 Also announced is that Axacon ticket holders will be invited for a Friday tour of OWC Studios in Lawrenceville, GA, where the Ares bridge set is located. Guests need to provide their own transportation to and from the studio, which is about 40 minutes from the hotel. Tickets for the event can now be purchased. Note that these are “add-on” tickets, meaning that a ticket for Axacon (either $25 or $50) can only be purchased AFTER you first buy a ticket for SphinxCon (which is a separate $50 ticket). SphinxCon, a convention celebrating the Honor Harrington book series, is happening at the same location and is acting as the “host” convention (meaning they are paying the main expenses for the hotel facilities). 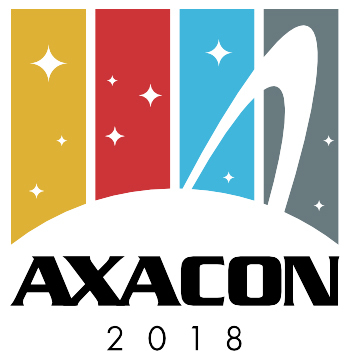 Axacon is happening in a special area of the convention open only to Axacon ticket holders. The event will be taking place at the Crowne Plaza – Atlanta Airport (free shuttle from Hartsfield-Jackson Atlanta International Airport) on November 2-4, 2018. Click here to purchase tickets for Axacon. And come back tomorrow for a surprisingly candid interview with J.G. Hertzler discussing his recent political campaign, his haircut, and whether or not he’ll be appearing in the Axanar sequel films! 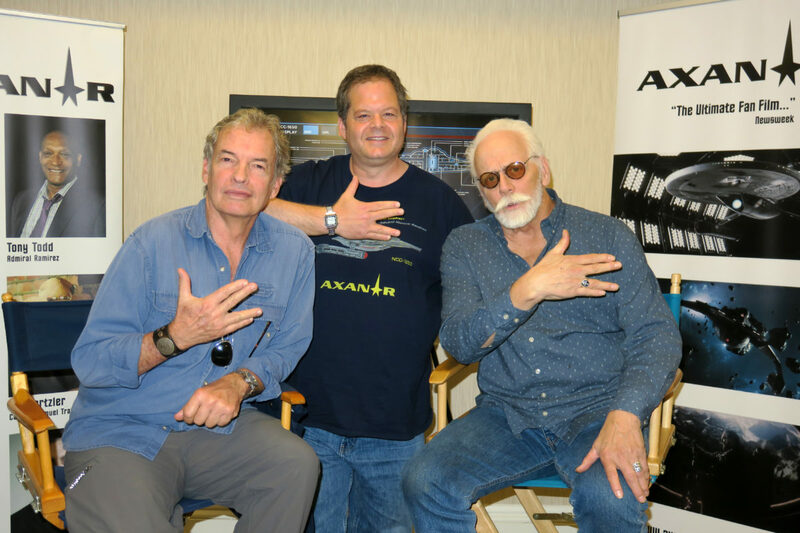 Author Jonathan LanePosted on August 19, 2018 August 21, 2018 Categories Axanar Lawsuit, NewsTags Alec Peters, AxaCon, Axanar, David Gerrold, Gary Graham, J.G. Hertzler2 Comments on AXACON adds more guests – TICKETS now available! 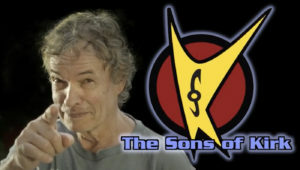 GARY GRAHAM’S “Sons of Kirk” KICKSTARTER enters its final TWO-DAY push! It took Star Trek and sci-fi actor GARY GRAHAM just 33 hours to hit his $5,000 goal on a Kickstarter to help fund the first official studio album and music video for his rock band THE SONS OF KIRK. 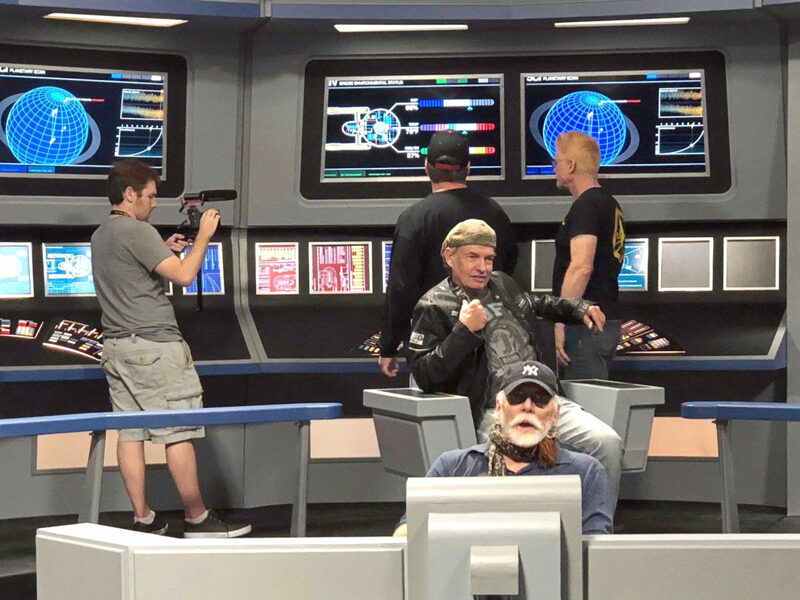 Gary’s band plays songs with Star Trek and sci-fi themed lyrics inspired by Gary’s own personal experiences playing various characters not only on Star Trek: Enterprise and Voyager but also in Alien Nation and in the Trek fan films Of Gods and Men, Renegades, and Prelude to Axanar. The real goal for this Kickstarter was actually more ambitious: $15,000 to produce an extended album and multiple music videos. The $5,000 goal was set simply to make certain they reached their goal and didn’t miss out on the money entirely (as Kickstarter gives you nothing if you fail to reach your goal). The $16,000 stretch goal was reached late Sunday afternoon, and that leaves only the last stretch goal to achieve. The Sons of Kirk just performed as the house band at Creation’s 2018 Star Trek convention in Las Vegas a week ago. I’m guessing they shot footage. The question is: will we fans get to see it? We’ll know in just about 58 hours (as I type this). Right now, they’re at $16,288 from 213 backers. If you haven’t donated yet, or if you want to up your donation to send them over the top, click here.